Time4Learning is one of my wonderful online sponsors that help support my online efforts. This is a sponsored post. Thank you for your support! I’ve talked about sponsor Time4Learning countless times over the past year. 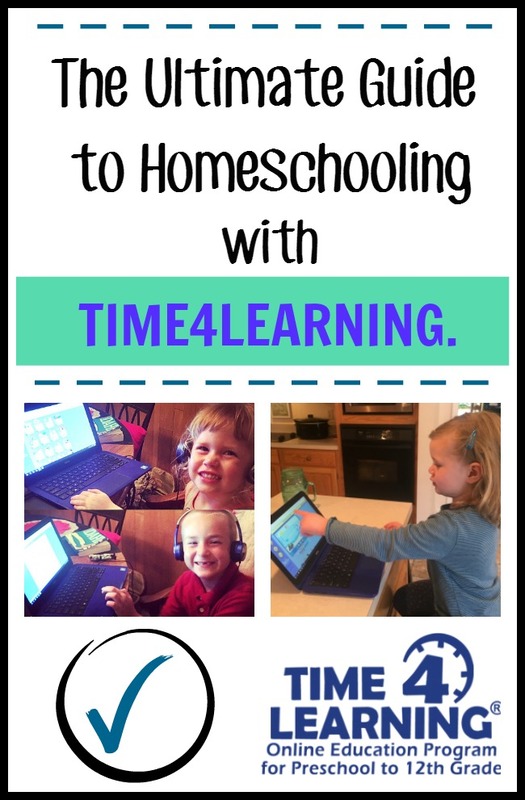 I ‘ve shared about how to get started homeschooling using Time4Learning. We’ve talked about how to use Time4Learning with the Littles Learners. And who can forget Time4Learning and the Traveling Homeschool! I’ve chatted about T4L in various YouTube videos over the past year. I even shared recently a Day in the Life vlog from Youtube that shows tidbits of our afternoon homeschooling with T4L. But I’m certainly not the only one talking about Time4Learning. There is a tremendous amount of information out there praising the Time4Learning program as a smart choice for flexible homeschooling needs. That’s why today I’m so happy to share with you The Ultimate Guide to Homeschooling with Time4Learning! If you’re in the mood for more succinct reviews, here are collections of reviews in a consise comment form. On Homeschool Reviews, you can find many personal reviews and opinions of satisfied parents using Time4Learning. Read reviews on the Time4Learning website. Secular Homeschool has many positive reviews from long time users. The Homeschool Mom has many reviews, also. Trust Pilot as a large set of Time 4 Learning reviews. These reviews are blog articles that break down what Time4Learning is and their opinion of the program. These are very helpful when researching homeschooling options for your family! Check out this in-depth review on Cathy Duffy Reviews. Time4Learning is one of her top picks! You can find an honest review of pros and cons at Groovy Ruminations. This review over at Hip Homeschooling gives you peek at the parent and student dashboards. Life of a Homeschool Mom says Time4Learning is a game changer. A large family in New Zealand has good things to say about Time4Learning. Cornerstone Confessions is using it for preschool. This reviewer says Time4Learning makes a great supplement if even you don’t homeschool. This family explains why they chose Time4Learning over k12.com. This 6th grader really likes T4L, and his mom loves how easy it makes record keeping. This family has been using T4L for years and says it’s good for all exceptional and special needs learners. This long time user loves the new Science4Us program available through Time4Learning. This mom is new to homeschooling and loving the program. Some families use Time4Learning primarily for the math program. Creekside Learning uses only the math program. At HomeschoolMath.net you can read a collection of reviews of the math curriculum. Doman Mom shares several helpful screenshots. Ben and Me offers a lengthy and insightful review look at the math program. This Big Happy initially chose Time4Learning for its math curriculum. This 8th grader is enjoying the math program. This mom of a 7th grader loves that he can review 6th-grade lessons when needed. The Jansen Family breaks down their review by subject. This family says Time4Learning made their day and schedule run much smoother. This homeschool mom found her son was more eager to do Time4Learning than previous programs. A very helpful review from a 4th grader. This 5th grader is working independently on core subjects. This 4th grader is using it as a “fun and engaging” supplement. This homeschool mom of a 4th grader says she would recommend it to other families. This mom likes that you have access to the lessons above and below your grade level. This 5th grader is enjoying Time4Learning. Denise uses it with her advanced middle schooler. This 8th grader prefers it on his iPad. This mom of a 6th grader was skeptical at first but pleasantly surprised. Time4Learning as a supplemental program. This mom of a 6th grader loves the administrative and planning features. This 6th grader loves computers and T4L. This thorough review says “There is a lot to love about Time4Learning“. Using Time4Learning as a 7th-grade supplement. This mom loved the access to lesson plans and the activity planner. This homeschool family uses the program with their special needs teen. More praise here for the high school program. This homeschool mom says it takes a lot of pressure and stress off of her. This family has been using T4L for nine years! This 10th grader says Time4Learning is “cool”. This homeschool mom loves the high school writing curriculum, Time4Writing. Read another happy high school user here. This student said the Language Arts program was just the right amount of challenging. This homeschool mom says that the program is good for her children with autism. 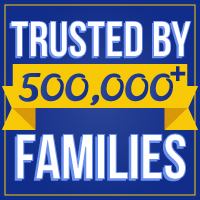 If you’d like to learn more about homeschooling with Time4Learning and how it’s trusted by over 500,000 families you can click here. Remember that T4L does not require a contract and you can cancel at any time! They also offer a 14-day money back guarantee which allows you to test the waters and see what works best for your family! Thank you for reading through The Ultimate Guide to Homeschooling with Time4Learning. 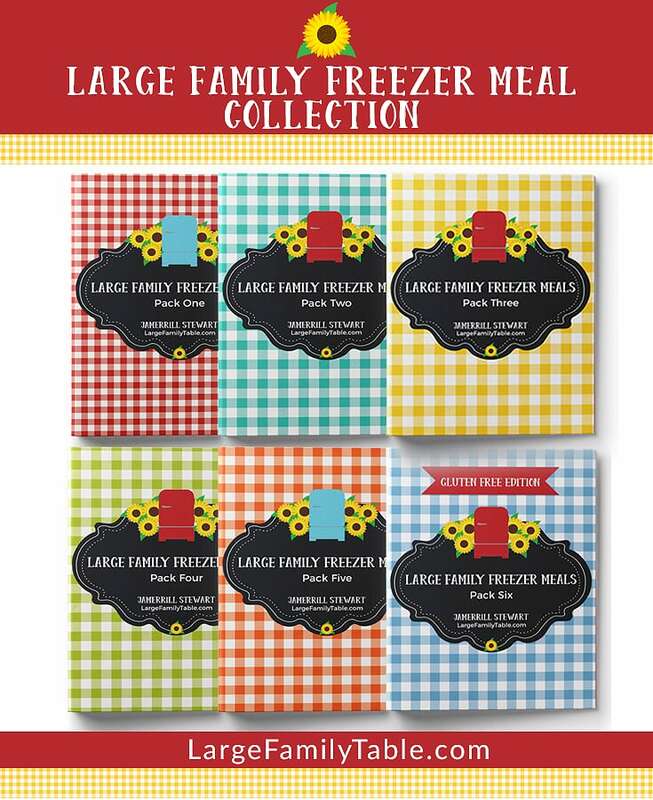 Let me know if you’ve tried T4L and how it has worked with your kiddos! Thank you for the comprehensive information about time4learning. I enjoy your site very much, and am wondering where you have been purchasing the cute hats that you have been wearing in your videos. I just began with them and i am looking forward to it with my 4 year old. He has been having tremendous behavioral issues and hasnt even started school! Thats shy i am opting for the homeschooling, because i know for a fact it will bring up a lot of academic ussues and I want to avoid it before he evem starts, amd if that implies taking the time to teach him myself from home, so he may have a successful academic start, I will do it and I hope time4learning helps with this.